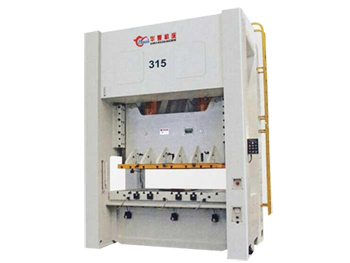 The J21S power press machine features a steel plate welding bed that has an outstanding vibration absorption. The throat features a certain depth and compact structure to ensure a safe operation. 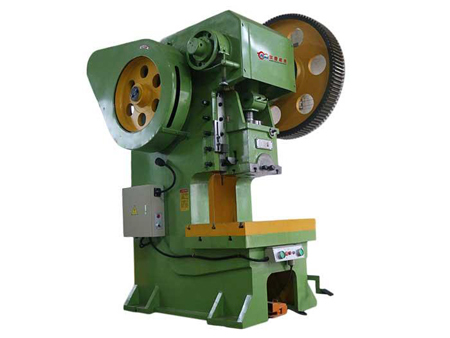 The main components of the press include the following: Machine body, Transmission, Clutch, Slider, Brake, Control mechanism. 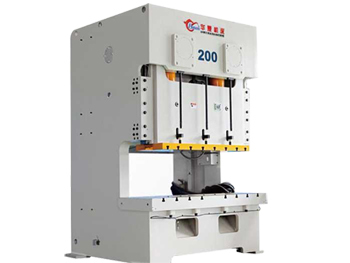 The machine body is a cast component of the c-shaped open double column. The workbench has a rectangular hole in the center to allow finished work pieces or scraps to fall through. The transmission system is powered using a motor mounted on the back of the fuselage. The clutch member is positioned at the right end of the crankshaft. The clutch key is a semicircle key that relies on a pull spring in order to be placed into a regular open state. The slider is located between the fuselage guideway. The slider moves straight up and down in the V-groove of the guide rail using the crankshaft rotary motion. The brake wheel is circular and attached on the left end of the crankshaft. It is a continuous brake, with the belt made using a soft steel leather, or internal riveted copper asbestos brake tape. 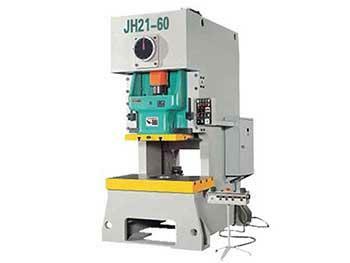 This machine uses a mechanical manipulation mechanism to control the slider for single punching with a foot lever. 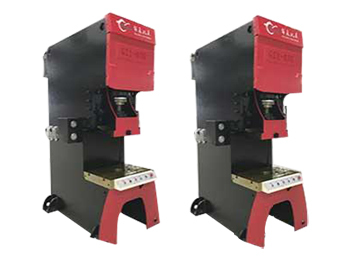 Anhui Huaxia Machine Manufacturing Co.,Ltd.